I love the story about why and how Missy Reder founded BabyBond. Not surprising to moms out there, the design idea came to her during a 2 AM feeding. Here’s an excerpt, but definitely read the About BabyBond page for the full story. "After having four babies, my closet was full of nursing tops that were not flattering and quite pricey. In December, 2006 during a 2 am feeding, I envisioned a nursing accessory that would cover mom but not her baby. The next morning, I cut and sewed one of my husband’s t-shirts into the prototype for the Slurp and Burp. Since then, I have designed three product lines to meet the needs of a variety of nursing moms and babies. We have since rebranded to BabyBond™, a name that highlights the primary benefit of our products." The main objective of BabyBond nursing accessories are to cover mom and not cover the baby. It helps a nursing woman to maintain her modesty without hiding baby, but still allows mom and baby to make eye contact and interact while nursing, not easily obtained with many other cover options. ◦Original: Worn like a sash, functioning like a nursing top. Nurse from the top of your shirt. ◦Flex: Worn like a sash, functioning like a nursing top. Comes with removable 9 x 12? double layer terry velour burp cloth and you can attach any cloth or wear without one. ◦Couture: Adjusts to create a custom fit as your body changes after baby arrives. A hybrid between nursing top and belly band. I was really intrigued by the idea of the BabyBond and the ability to cover myself without hiding baby. The website only added to my interest – it’s very informative and includes a video demonstrating how to use a BabyBond. Overall, I really like the idea and concept of the BabyBond. It’s a great alternative to a nursing cover and has benefits for new babies and for older nursers as well. BabyBond is not for the most modest of nursing mamas because while it does cover the majority of the breast, it does not cover the entire breast – that’s left to the nursing baby. The design that I received for review: BabyBond Couture. This item is adjustable creating a custom fit as your body changes after baby arrives. A hybrid between nursing top and belly band, it can be worn to nurse from the top or the bottom of your shirt so it works with your entire wardrobe. When worn like a sash, it functions like a nursing top. When worn like a belt, it functions like a belly band. Rolls up into self-storing pouch. Shop! All three style BabyBond nursing accessories are available in a couple colors and can be purchased at BabyBondNursing.com. BabyBond is offering a 75% discount on their site for any reader who orders a BabyBond on babiesrus.com. Now you will be able to buy 2 BabyBonds for less than $46!!! All you need to do is email a copy of your receipt from Babies R Us to missy@babybondnursing.com, and she will reply with a 75% off discount code to order another BabyBond on their site with 75% off. 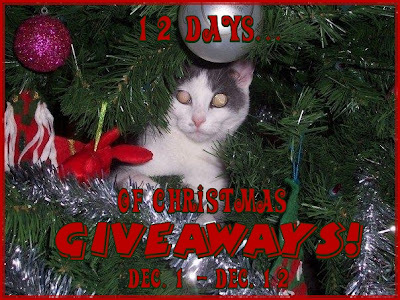 Keep an eye out during the holiday season because Baby Bond has sponsored my '12 Days of Christmas Giveaways'! One lucky person will get the opportunity to win their very own Nursing Sash/Belly Band (Couture)! wow! i love that , will have to stop by and try to win it.... if i can enter of course.